Register now and receive $10 Free Casino Chip to try out the online casino! Triple your deposit with 200% WELCOME BONUS when making a deposit up to $1,000! Ability to Deposit & Withdrawal with Bitcoin plus receive up to $7,500 BITCOIN WELCOME BONUS! Joe Fortune is one of the newest Australian casinos that launched in 2016 and is owned by Ridley Media N.V. They have a huge line up of online slots and table games not only for PC but also compatible with mobile devices. Licensed with Curacao eGaming, Joe Fortune Casino offer players a variety of casino games from several software providers which in total make up a collection of over 400 games. The official website is modern and you can get the sense that you have seen the same theme layout from somewhere. Well, you are not wrong because Joe Fortune is the sister casino of Bodog and Bovada, which both have more than a decade worth of experience. The site is user-friendly and easy to navigate. You would expect nothing short of the best online casino games, so it made sense for Joe Fortune to go with some of the leading software providers such as RTG, Rival, iSoftBet, and Microgaming. We are big fans of Betsoft Gaming as they offer fantastic games – their 3D slots are some of the best in the industry. RTG not only produces online casino content but also is a true land-based casino game maker. Rival too is an industry leader with over 10 years of experience. So what do you get from all the experience and technical ability? 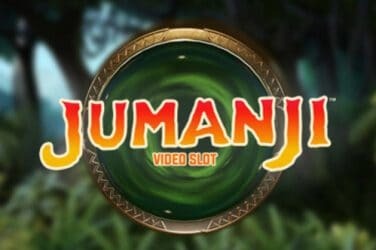 There are over 130 different slots categorized as 3D Slots, Rival iSlots, Progressive Jackpots, 3 Reel Slots and 5 Reel Slots. Other casino games that you will find are Table Games like roulette and Blackjack plus their variants, Specialty Games like Keno and Bingo, Video Poker Variation and Multi-Hand. Gameplay is through instant play – straight from your browser – and you can sample the games through the practice mode which is initiated by starting any game even without registration. The ability to play from your handheld device is always an important feature for us as we believe this is a fun and convenient avenue for an online casino player. Joe Fortune Casino will not disappoint you as they support mobile games by providing a lot of fun mobile-based content as well. So if you have got a phone or a tablet that runs on either Android or an iOS you can easily access their mobile platform and enjoy a variety of online casino games from wherever you may be. What will be registering for a casino if you do not get a welcome bonus to boost your chances of winning? At Joe Fortune casino players can either choose between the welcome package and one for Bitcoins. The welcome bonus is a match where a player can triple the first deposit by 200% up to $1,000. Then claim a 100% reload bonus up to $500 on the second deposit made. Alternatively, you can claim a Bitcoin welcome bonus up to $7500 to play on slots, blackjack, roulette and other casino games. Deposit using Bitcoins for the next 9 deposits and the bonus will be given as follow. Get 300% Bonus up to $1500 for the first deposit using Bitcoin. Get 150% Bitcoin Match Bonus up to $750 on the next 8 deposits. At the bottom of the Joe Fortune official website, you will see several third-party certificates stamps one from gaming associates and the other from iTech Labs. The latter deals with confirming a return to player percentages while the former is contracted to verify compliance with the Curacao eGaming standards and certify their Random Number Generator is churning out random results. To play for real cash at Joe Fortune casino, players will be required to sign up for an account and make their first deposit. You are not limited to a single payment processor but rather there are there are several options available to facilitate the transfer of funds between the player and the casino. For deposit and withdrawal option can be seen on the sidebar on the right of the page. If you need to contact support you can either reach them through one of the following ways: live chat, through the on-site contact form and 24/7 phone support. Support will be available to you 24/7 all through the year so you can concentrate on your entertainment rather than other known- issues. Register today at Joe Fortune Casino and enjoy one of the best collections online casino games!